With the holidays just around the corner and there are more and more potential poison hazards for our cats in our homes. The decorations are going up, food is being prepared for festive feasting, and preparations are being made for the winter’s grand entrance. Without a doubt the cat has noticed the festivity and all the new shiny things in its surroundings. Should your cat become too curious and decide to get into something it shouldn’t, it is good to know what to do. Manna playing with our cornocopia. Visit the ASPCA Animal Poison Control site for a more extensive listing of toxic items. They have detailed lists of toxic plants and foods as well as a section that “sets the record straight” on a lot of items. Okay, so you just saw your cat eat one of the grapes you had on a tray on the counter for your guests. What do you do? Remove the from the presence of the poison. You certainly don’t want your cat to just keep eating (or playing in) a poisonous substance. Observe the cat for any symptoms that it might display. You will need to be able to describe the symptoms to a veterinarian or an animal poison control specialist. Place a sample of the poisonous substance in a container that can go with you to the vet. Be sure to include any leftover parts of the substance that your cat may have taken bites from. Take this sample even if you are familiar with the substance (i.e. chocolate, grapes, coffee, etc). Having this will help your veterinarian to positively identify the exact poison affecting your cat. If the cat has vomited, put as much of the vomit in a seal-able container as you can and bring that to the vet as well. Call your veterinarian and let them know your cat has been poisoned and you are on your way in for an emergency. Follow the veterinarian’s advice carefully; they may ask you to do some first aid at home before you come in. Take the cat in even if there are no symptoms. With some poisons, it can take hours or even days before symptoms begin to show up and it could be too late to do anything by then. The type of animal you are calling for (species and breed) and the number of animals affected. The size and weight of the animal. Whether the animal is male or female. What symptoms your animal is displaying. Information on the poisonous substance involved. If it is available, they will want to know a product number for the substance. The length of time since the animal ingested/absorbed/inhaled the poisonous substance. When you talk to your veterinarian or ASPCA Animal Poison Control they may ask you to do some first aid on the cat. Follow their instructions very carefully. It doesn’t hurt to have a first-aid kit for your cat already prepared so those things are ready for use when you need them. When you gather the items for your first aid kit, be sure to keep them in a water proof container (like a small plastic bin) in an easy-to-access place. It is also helpful if you have a written guide with all of the need to know information about your cat. You may be very emotional when your cat is ill and it could be difficult to articulate the necessary answers for your veterinarian. 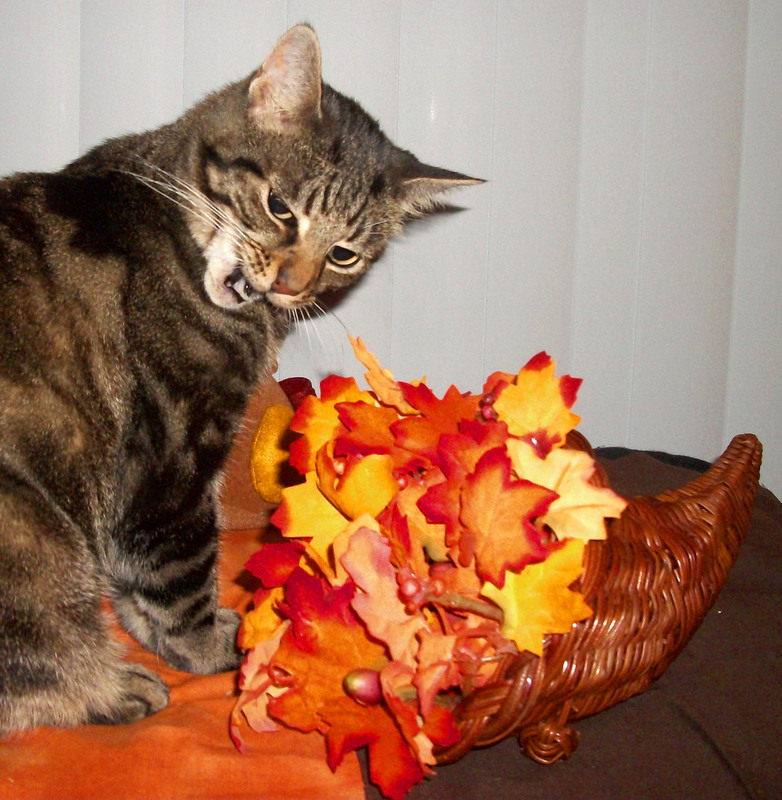 Has your cat ever eaten something he/she shouldn’t have? Next$2,000 Reward; These Men Are Not Worthy to be Called Men. This post has great information. I’ve seen cats eat all types of weird things, but thankfully not too many poisonings. One of my coworkers cats ate a lily flower around Easter time… she had to be hospitalized for that. Thanks. I have been very fortunate not to have to see any my furbabies get poisoned, but I’ve had to deal with human beings that have been. It’s not fun. I hope your coworker’s cat turn out okay! Poor thing.